Tesla CEO Elon Musk elevated longtime company official Jerome Guillen to head of automotive operations and announced several other executive promotions Friday — moves that come just hours after news of two high-level departures. Why it matters: The executive changes, announced in an email to employees touting "tremendous progress" at the electric automaker, arrive amid a troubled stretch for the company, including events over the last day alone that sent its stock tumbling. Bloomberg broke the news Friday that Gabrielle Toledano, the head of human resources, will not be returning after a leave of absence. Tesla announced Friday that chief accounting officer Dave Morton was quitting after just a month in the role. Musk made waves by apparently taking a drag off a joint during a late Thursday appearance on The Joe Rogan Experience podcast (Rogan called it a mix of tobacco and pot). The company's stock tumbled 6.3% on Friday, although it has ticked up slightly in after-hours trading. The big picture: Tesla is facing intense scrutiny as Musk, who has had several episodes of erratic behavior in recent months, seeks to show he can sustain and improve on production increases of the Model 3 sedan that's critical to the company's future. 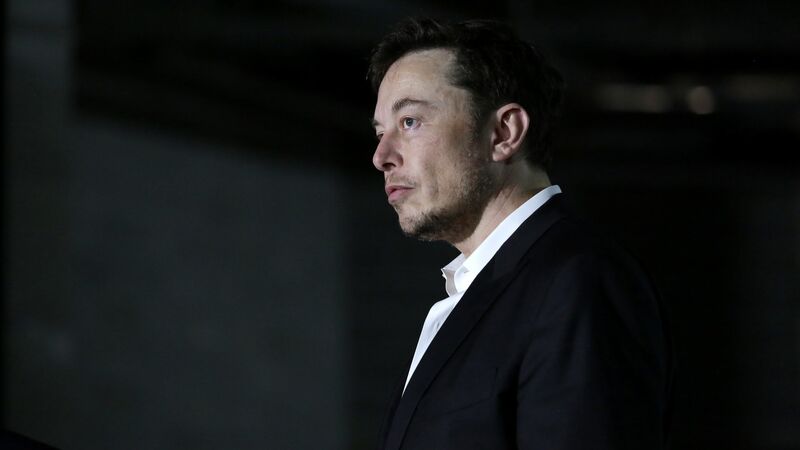 Tesla is also dealing with fallout from Musk's aborted plan to take the company private, which has brought a Securities and Exchange Commission probe over Musk's inaccurate August 7 tweet that he had secured funding for the project. But in his email, Musk says Tesla is about to have the "most amazing quarter in our history, building and delivering more than twice as many cars as we did last quarter." "For a while, there will be a lot of fuss and noise in the media. Just ignore them," he writes. This is Elon going on two streams, both meant to change the subject and project normalcy after his bizarre recent weeks: In one stream is a pep talk and the announcement of a fistful of senior-level promotions, aimed at his employees and Wall Street, in that order; in the other, directed at both audiences, is the suggestion to ignore all of his hijinx, and the reaction to it. We can't know if this means that he intends finally to get back to the business of making a lot of Model 3s, or an interregnum in the Elon Show, the antics that have made a lot of people worry about him, his company, and the future of electric cars. The details: Guillen has been with Tesla for eight years and recently played a "critical role" in ramping up Model 3 production, Musk said in the email. Guillen has also been a key player in the company's electric semi-truck program, according to several reports. Musk also announced that Kevin Kassekert has been promoted to "VP of People and Places, with responsibility for Human Resources, Facilities, Construction, and Infrastructure Development." He has been with Tesla for six years and was previously VP for infrastructure development.